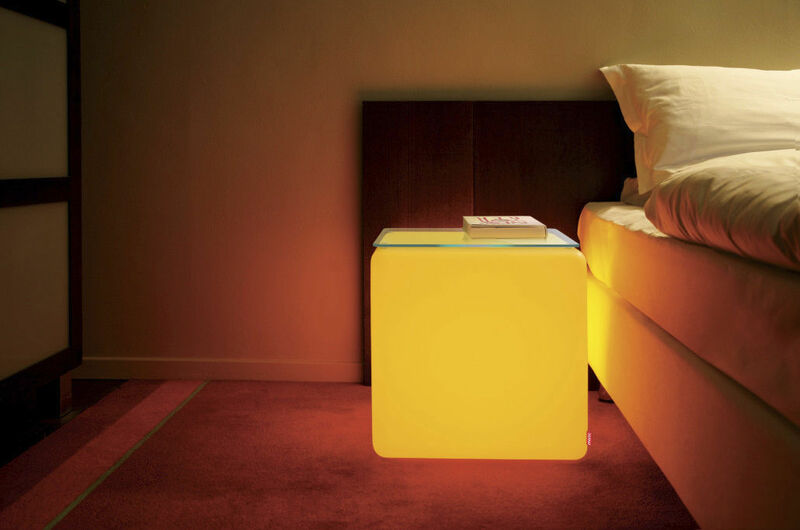 The Cube serves as a seat, a table, a decoration object or indirect light source. 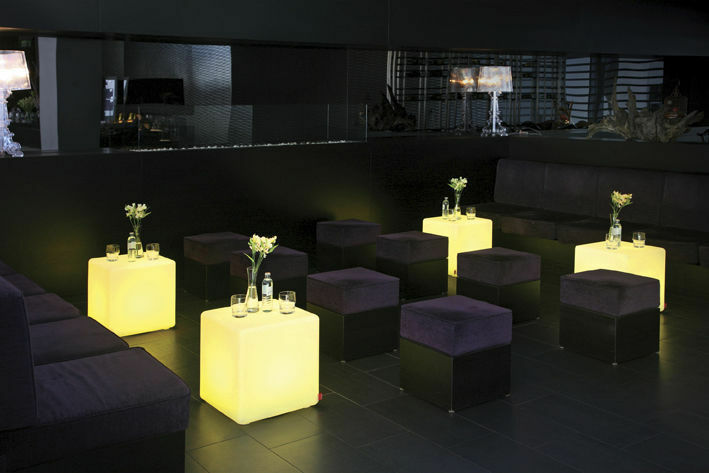 The illuminated seating cube is ideally suited for private or commercial use. The Cube Indoor is equipped with a transparent cable and foot switch. The Outdoor version has a black, waterproof cable and illuminates gardens, terraces or parks aswell as offering a seating area. 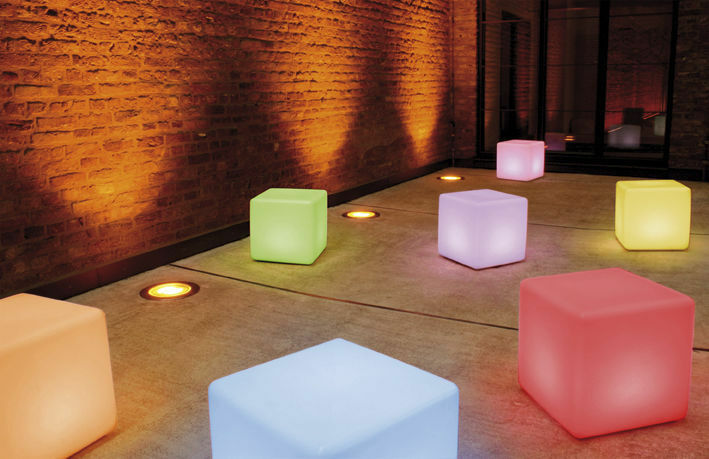 Both versions of the cube are available as an LED product with remote control and varied colour and dimm functions. The wireless battery LED version offers even more flexibility. Please refer to Cube LED Accu.